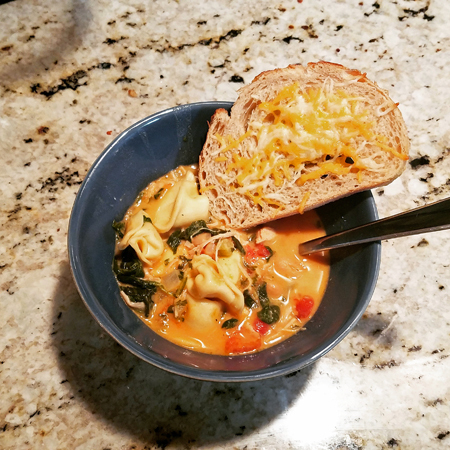 I just made this soup and it was sooooooo yummy: Creamy Tuscan Garlic Tortellini Soup. I followed the recipe pretty closely, although I used a mix of diced onion and celery, as well as my own seasoning mix, which included red pepper to spice it up a bit. It was really quick and easy to make, and Iain and I ate it for days! Definitely a keeper.